The third Sookie Stackhouse novel from the New York Times bestselling author – and the basis for the HBO series True Blood. Sookie’s boyfriend has been very distant – in another state, distant. Now she’s off to Mississippi to mingle with the underworld at Club Dead – a little haunt where the vampire elite go to chill out. But when she finally finds Bill – caught in an act of betrayal – she’s not sure whether to save him… or sharpen some stakes. The plot itself is very flimsy (no wonder the HBO series added all those subplots in order to add more flesh to the story), but like I said, I much preferred having Bill out of sight and mind. Plus I really liked the two male characters who got a lot of face-time in Book 3. The vampire Eric is still just as irreverently funny and inappropriate as always, but this time, he shows a softer side and he ends up being a better friend to Sookie than Bill ever was. And honestly, the werewolf Alcide seems to actually be the perfect partner for Sookie, except that they were both caught up over stupidly mooning over other less deserving partners. As always, Club Dead is a quick read, very escapist fare; it’s not very taxing and there were many parts that were pretty funny (i.e. how Sookie foils the crucifixion of Elvis is one!). Well, now I’m all caught up and I plan to read Book 4 without the ghost of Season 4 of True Blood hanging over me – so we’ll see how much I’ll like it then! 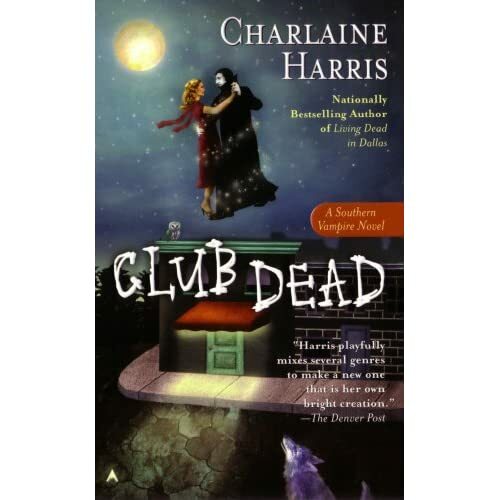 Club Dead: A Sookie Stackhouse Novel by Charlaine Harris is available on Amazon as a Kindle edition ($7.99), Paperback edition ($7.99), Mass Market Paperback edition ($7.99), and Audible Audio Edition ($17.95). The eBook is also available at B&N, iBooks and Sony eBookstore for $7.99.